"A statement from WikiLeaks indicated that it planned to post nearly 9,000 files describing code developed in secret by the CIA to steal data from targets overseas and turn ordinary devices including cellphones, computers and even television sets into surveillance tools." WikiLeaks said the trove comprised tools — including malware, viruses, trojans and weaponized “zero day” exploits — developed by a CIA entity known as the Engineering Development Group, part of a sprawling cyber directorate created in recent years as the agency shifted resources and attention to online espionage. In its news release, WikiLeaks said the files enable the agency to bypass popular encryption-enabled applications — including WhatsApp, Signal and Telegram — used by millions of people to safeguard their communications. Adam Langley is responsible for Google's TLS infrastructure. He also wrote Pond, an asynchronous messenger with OTR-style forward secrecy with strong sender-receiver un-linkability (basically Pond is highly resistant to traffic analysis). It was a side project of his and is sadly no longer maintained. Morgan works for the Intercept, yeah. Joanna Rutkowska is another personal hero of mine. She's done awesome work. Thanks for your kind thoughts, but my assessment of my software engineering ability isn't meant to be false modesty. I know where I stand in relation to many friends and colleagues. The only remarkable part of my background is my activist past. Otherwise, I am profoundly ordinary/mediocre as a programmer and systems person. I have an upward learning trajectory, but I am not even a journeyman engineer, yet. I suspect you underestimate your skills. Thanks for the info on Joanna and Adam. The agency might be able to break into your phone, but files released today show no ability to intercept encrypted chats before they arrive there. Today, March 23rd 2017, WikiLeaks released Vault 7 “Dark Matter”, which contains documentation for several CIA projects that infect Apple Mac Computer firmware (meaning the infection persists even if the operating system is re-installed) developed by the CIA’s Embedded Development Branch (EDB). These documents explain the techniques used by CIA to gain ‘persistence’ on Apple Mac devices, including Macs and iPhones and demonstrate their use of EFI/UEFI and firmware malware. 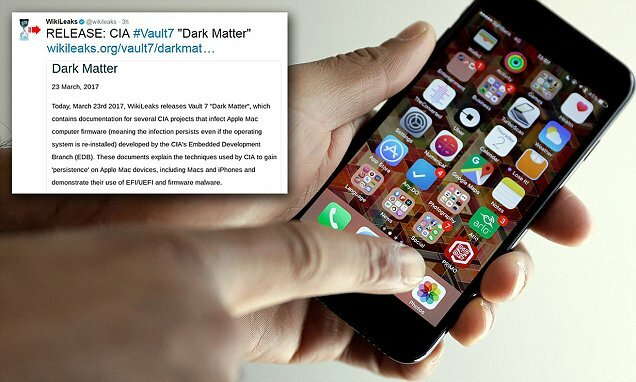 WikiLeaks has released a new set of documents called Vault 7 'Dark Matter,' which it claims confirms that the CIA has been spying on Apple devices for roughly a decade. Hmm ... not sure what "routinely" would mean, since installing any of this stuff requires physical access to the device. Can you say where you saw that claim? I would think installing any of this modified firmware would be done in a targeted way, or it doesn't strike me as very scalable. Unless of course, it was installed on all Apple devices in the factory or something, which I don't think is the claim. One general observation I have about our normal human reaction to security news like this is that we tend to focus on the exotic (remote exploits, CIA programs, putting tape over our cameras, etc.) a bit more than the basics -- custody of devices, basic account security, password rotation, 2FA, understanding of encryption ... in my experience working with many news organizations, it's these basic things that actually end up causing the actual, real-life sorts of problems in terms of data theft and unauthorized access. 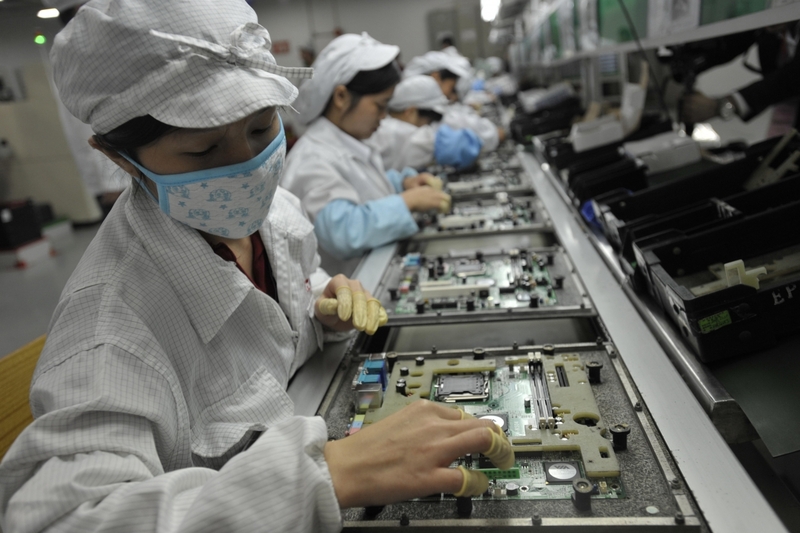 Macbook and iPhone hacks described in files published by WikiLeaks do not work on current products, the company says.